If you are an outdoor person and cannot do without a feature-rich compass as a companion, the Silva Polaris Type 7 Compass is just what you need. 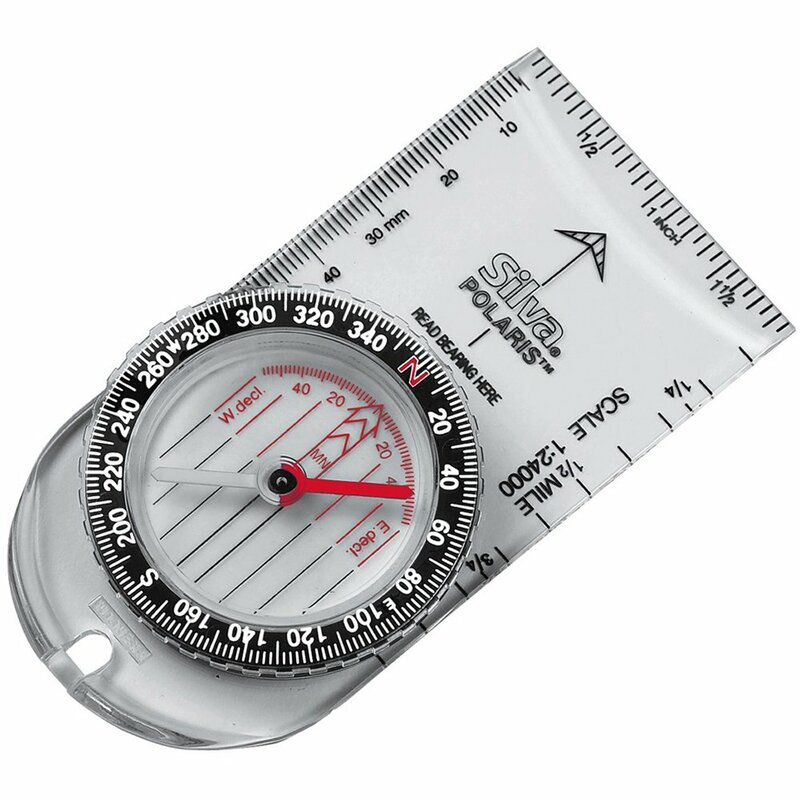 With a clear base plate as well as millimeter and 1:24 scales, you can be rest assured that the compass will provide you with the most accurate readings irrespective of where you choose to venture. The set bearings, large numerals and two graduation lines ensure that anyone with even the most basic understanding of compasses can use this one with ease. The compass has a declination correction scale which makes it possible to make quick adjustments on the go.